All good things must come to an end and for the Tata Steel Masters 2019 that day was today but what a finish was conjured up. In an all-play-all tournament it is obviously chance who plays who in the final round but what could be better than the two leading players drawn to fight it out against each other for first place. Magnus Carlsen went into the game with a half-point lead over Anish Giri thanks to his win in Round 12 while Giri was held to a draw. While this means that Giri would have to beat Carlsen to win the tournament – and what a worthy champion he would be if he were able to do that – at least it prevents the threat of déjà vu: in the same tournament last year Carlsen and Giri tied for first place with the former winning the tie break. After the way Carlsen easily dispatched Fabiano Caruana in the World Championship, this is probably something Giri would prefer to avoid. How he would like to repeat his 22-move victory over Carlsen in his first Tata Steel Masters in 2011. Sadly, despite having the benefit of the white pieces, Giri never gained much of any advantage and with Black standing ‘much better’ according to Stockfish, a draw was agreed after 30 moves, leaving Carlsen winner for the seventh time. So while all the locals were cheering for Giri who is Russian-born but has competed for the Netherlands since 2009, what of the Van Foreest family featured in the last Tata article on this site? 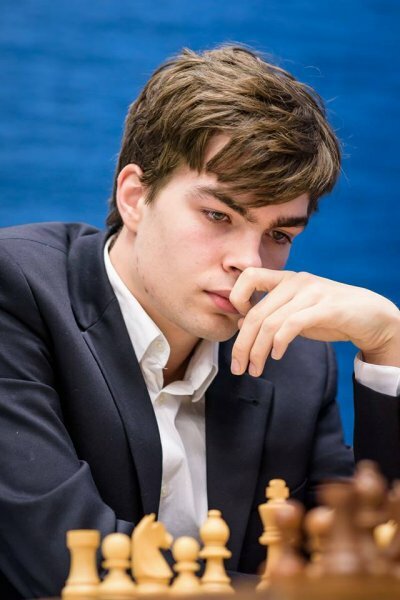 Lucas finished on 6/13 in the Challengers while his 11-year old brother Nanne scored 4/9 in the Group 5A all-play-all with an average FIDE rating of 1716 (approx 174 ECF). Nanne’s twin sister, Machteld is the stronger player of the two, having won the Dutch U10 Girls’ Championship in 2014 at the age of 6 and both the U12 and U14 Dutch Youth Championships (boys section) in 2018. At Tata she competed in the Group 2C all-play-all, finishing on 3/9 for a performance rating of 2004 (approx 201 ECF). To put this into perspective, the top English U11 girl is Jessica Mellor (145 ECF) and the next highest is graded 126. Meanwhile, what of the eldest sibling, Jorden, who was competing in the Masters? While he lost seven of his thirteen games, it should be remembered that he had the second lowest FIDE rating of all the competitors and he was mixing with serious company. Of his three wins, the following was a wonderful attacking performance against the world number thirteen. After his opponent’s victory in Round 9, The Daily Telegraph chess column was headed ‘Nepo back in the running’ as he moved into joint first place. Unfortunately, this appeared to scupper his chances as he scored only 1½/4 in his remaining matches. His defeat by Jorden Van Foreest was his first in the tournament. Finally, here is a bonus Blunder of the Week and it just goes to show that even the best players can get it wrong sometimes. Here we have the current US Champion Sam Shankland playing with the black pieces in Round 11 at the Tata Steel Masters against Anish Giri, who has just played 45. b6. What would you do as Black? Well, Shankland resigned, apparently thinking that because he could not get his king back to a8, he was lost but Giri knew that if the king reaches c8 – which it can do – the game was drawn. When Shankland offered his hand, Giri had to ask him to be sure: “Did you resign?” “Yes,” he replied! For the full story and an interview with Giri after the game, click here.